It appears that the present state of affairs in the signing of cooperative security agreement between the U.S. and Afghanistan is becoming a serious problem for the current U.S. administration. Procrastination is prompting geopolitical rivals (notably China and Russia) to augment their influence in the region, and the signing of an agreement on terms that are unacceptable to the White House is likely to aggravate relations with key regional allies of Washington. Anyone who regularly follows the international reportage published in the American press couldn’t help but notice the U.S. media hoopla over the signing of the U.S.-Afghan cooperative security agreement. However, this is not surprising. After all, Afghanistan is at the very centre of where regional and global powers’ security interests intersect, namely those of the U.S., Russia, Iran, India, China and Central Asian states. Thus the formation of contacts with the Afghan leadership, with which the U.S. has recently had a complicated relationship, is entirely on point. For Washington, Afghanistan is “a local manifestation of a global problem: the preservation of American leadership in the world,” as the well-known international observer Fyodor Lukyanov aptly noted. Exiting Afghanistan without establishing at least a modicum of governance would mean a serious blow to the prestige of both the United States and NATO. And since it seems unlikely that the Iraq experience (i.e., training local forces and gradually handing over administrative functions to them) can be duplicated, the White House now appears to have lower expectations for Afghanistan than was the case in previous plans. The United States is striving to turn Afghanistan into a “moderately stable country” that is not a base for extremists. Achieving this goal is a precondition for implementing the so-called “dignified exit strategy” for Afghanistan that would preserve the U.S. image as the leading force in the world. On the other hand, from the perspective of Moscow and Beijing, the most problematic scenario for future enhancements is a withdrawal of U.S. troops from Afghanistan and a simultaneous desire to remain in the region, especially in Uzbekistan, Kyrgyzstan and Tajikistan. Proceeding from this mentality, Russia and China are offering to resolve the Afghan problem through established prominent regional institutions such as the Shanghai Cooperation Organization and the Collective Security Treaty Organization. In this light, the SCO is viewed as the political guarantor and the Collective Security Treaty Organization as the security safeguard. According to Moscow and Beijing, the Afghan conflict cannot be resolved without clear coordination of the steps involved and dialogue with NATO, the CSTO and the SCO as well as the U.S., Russia and China. If each of the concerned parties were to take security measures unilaterally, the objective incongruity of interests would obviously breed mistrust among the major global players and, consequently, further destabilise the situation in Afghanistan and the region as a whole. Of course, Washington deems this position unacceptable and sees it as a strategy of squeezing the U.S. out of the region. Obama has apparently decided that in this way he can maintain the shaky stance he has adopted recently. On the one hand, he is not caving in to Russia and China, and on the other hand, he is burnishing his dovish credentials in the eyes of Americans. This aim is being furthered by the current American media activity in regards to the signing of the U.S.-Afghan cooperative security agreement. According to Obama’s timetable for withdrawing U.S. troops from Afghanistan, all American forces should be out by the end of 2014, with the exception of instructors helping the Afghan army and also small groups of special forces to carry out counterterrorist operations against al-Qaida. The plan also envisions these instructors and special forces (as supposed, up to 10,000 of them) staying in the country after 2014 to be stationed at Afghan military bases. Washington strategists surmise that the agreement should serve notice to the Taliban that waiting out the international presence and then overthrowing the Afghan government is not an option. The reality, however, is not so smooth. Kabul has recently lodged numerous complaints with Washington. For example, the Afghans are unwilling to agree to a stipulation that Americans be allowed the right to conduct operations against al-Qaida without coordinating their actions with Afghan authorities. In Kabul, that provision is an especially sore spot in the wake of the American military’s arrest of a senior commander of Pakistan’s Tehreek-e-Taliban, Latifah Mehsud, in eastern Afghanistan. Mehsud was in the country at the invitation of Afghan intelligence to organise peaceful negotiations between Kabul, Islamabad and the Taliban. According to Aimal Faizi, a spokesman for Hamid Karzai, the Afghan president “became indignant” after learning of Mehsud’s capture by the Americans. Furthermore, the Afghans are demanding that the American administration not conduct separate negotiations with the Taliban and that the Taliban office in the capital of Qatar be closed. Each side has its own notions of the agreement between Kabul and Washington. For example, the White House would like to remove a treaty provision on the obligation to defend Afghanistan against all external enemies. 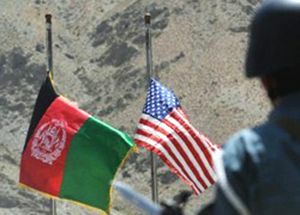 Such a stipulation would put the United States in a very awkward position if the current cooling of relations between Kabul and Islamabad were to suddenly lead to a conflict. On the whole, Afghanistan is seemingly becoming a real headache for Washington. On one side of the spectrum, signature of the agreement with Kabul cannot be delayed. As mentioned, geopolitical rivals are by no means standing idly by. And domestically, time plays into the hands of the Republicans, who espouse a long-term policy on Afghanistan that is diametrically opposite. But on the flip side, growing discontent with the Kabul regime may result in the signing of an agreement on terms unacceptable to the White House, followed by the deterioration of relations with major satellites of Washington in the region (above all Pakistan). Afghanistan is truly a special place on the world’s geopolitical map. To a significant degree, it proved fatal to one of the superpowers in the previous century. It appears that the lessons of that bitter experience are being lost on yet another superpower. Vitaly Bilan has a PhD in historical science and is an expert on the Middle East and a special contributor to the New Eastern Outlook online magazine.